Your Middle East had a quick chat with the first Muslim woman and the only Iranian to receive the Nobel Peace Prize. She describes an Iranian regime that is becoming increasingly aggressive. Iran’s first and only laureate of the prestigious award believes that the regime in her country has a very skewed definition of what democracy entails. The Supreme Council is made up of 12 individuals, who are all either directly or indirectly appointed by the Supreme Leader Ayatollah Khamenei. Ebadi doesn’t see the near future in a very positive light. The Iranian economy has been damaged badly and the government is becoming more and more aggressive. Meanwhile, there is a power struggle within the establishment. “Not to mention the various tribes who are being prosecuted and have many grievances,” she notes, adding that the situation for women looks bleak as well. A critic of the sanctions against the Islamic Republic, the famous human rights lawyer wants political rather than economic measures aimed at the regime. She says political sanctions could assume various forms, including stopping Tehran from broadcasting to non-Persian audiences via the satellite operators Arabsat, AsiaSat and Eutelsat. Another example is the black list of Iranian officials who have violated human rights that has been compiled by the European Union. Ebadi is critical of how the West is adopting a harsh stance against ordinary Iranian citizens. She uses the Swedish Embassy in Tehran as an example. 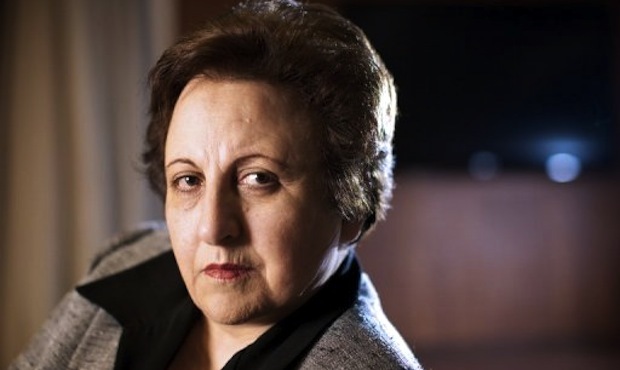 Currently in exile in London, Shirin Ebadi is certain that she will be able to return to her homeland in the future. THE LATEST Who will be Iran’s next president?